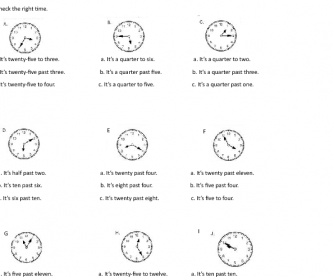 Telling the time activity practices asking and telling the time in English. It contains a multiple choice questions exercise which prepares and leads students to the less controlled one where they have to write. 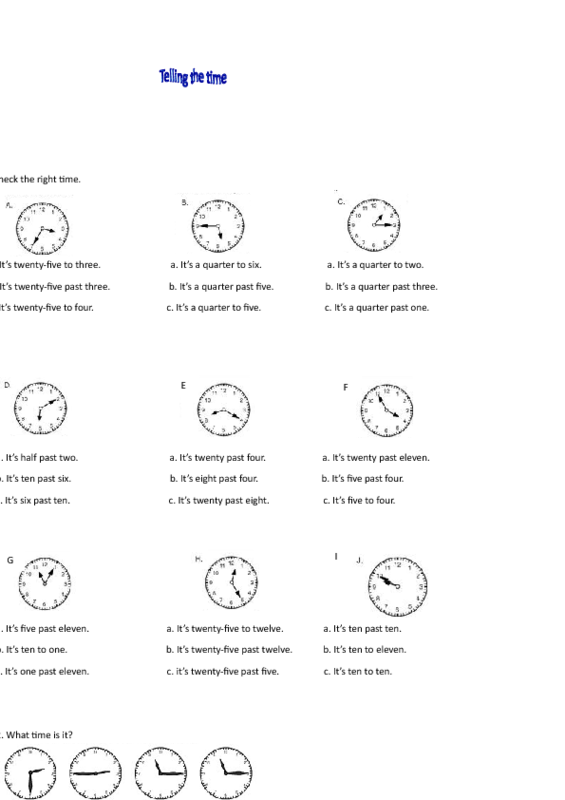 Telling Time Activity: How Much Time?